The Orange Circle Holds Briefing "The Ukraine-Russia Gas Crisis: Lessons for Business and the International Community"
Marianna Kozintseva, Associate Director, Bear Stearns. New York City  On Wednesday February 1st, The Orange Circle (OC) (www.orangecircle.org) kicked off its first in a series of briefings for media and the policy-making community, this one titled "The Ukraine-Russia Gas Crisis: Lessons for Business and the International Community." 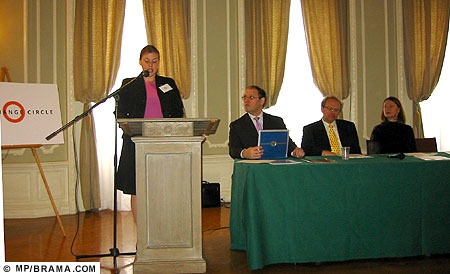 The event took place at the Ukrainian Institute of America (UIA - www.ukrainianinstitute.org), and was attended by prominent members of the investment banking and financial community, journalists, United Nations officials, diplomats, and members of the UIA. Speakers at the briefing were Anders Åslund, Senior Fellow at the Institute for International Economics in Washington D.C., and Marianna Kozintseva, Associate Director at Bear Stearns in New York. The discussion was opened and moderated by Adrian Karatnycky, founder and President of The Orange Circle, following introductory remarks by Adrianna Melnyk, OC Director of Research and Outreach, and the President of the Ukrainian Institute of America, Jaroslav Kryshtalsky. The briefing centered on themes relevant to the business and investment communities. The presentations included the speakers' perspectives on the implications of the recent gas crisis for Ukraine's economic and political stability, and on the effect the crisis has had on Ukraine's relationship with Russia and with its European neighbors. Underlying the thread of the discussion was the impact of the gas crisis on Ukraine's upcoming parliamentary elections. Dr. Åslund argued Ukraine was in a strong position in its negotiations with Russia, while Dr. Kozintseva indicated that uncertainty over the pricing deal and the deal's intermediary-RosUkrEnergo-needed to be resolved before foreign investors show significant interest in the Ukrainian market. Dr. Åslund argued that Kyiv is now awash with potential foreign investors, who are laying the groundwork for future participation in the Ukrainian economy, which is viewed as an intriguing opportunity. Mr. Karatnycky suggested that while the Orange Revolution had not met the high expectations of the public, polls suggest there is a steady majority that supports parties from the "Orange camp" in the March 26th parliamentary elections. "The divide is still roughly 55 percent in favor of the Orange groupings, and 45% opposed. This is roughly the same split as existed in December 2004, when President Yushchenko was elected," Mr. Karatnycky said. This was the first in a series of Orange Circle Briefings that will focus on timely and relevant topics related to economic and political events in Ukraine. Founded in the fall of 2005, the Orange Circle is a coalition of political, civic, cultural, educational, and business leaders from the United States, Canada, and Europe. Its goals are to further democracy and economic reform within Ukraine and to promote Ukraine's integration into global and European economic and political structures, including the WTO, the EU, and NATO. As part of its mission, the Orange Circle promotes better international understanding of economic and political developments in Ukraine, builds public and official support for Ukraine in the United States, Europe, and Canada, and organizes discussions and briefings with experts, government officials, and business leaders from Ukraine, the United States, Canada, and Europe. The Orange Circle is a nonpartisan, US-based not-for-profit with representatives in Canada, Ukraine, and other major European countries. It is governed by a board of directors made up of citizens from the U.S., Europe and Canada and relies on financial support from private individual donors, corporations, and membership fees. Adrian Karatnycky, who has made the new organization his major arena of work, now serves as its President and CEO. He also continues a relationship with Freedom House as a Senior Scholar, focused on global trends. Anders Åslund, PhD., is the author of five books and editor most recently of Revolution in Orange: The Origins of Ukraine's Democratic Breakthrough, which will be published in the coming months. 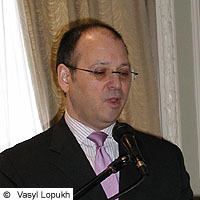 He has served as an economic advisor to the reform government of Russia and to the Ukrainian government on economic reform issues, and had served as the director of the Russian and Eurasian Program at the Carnegie Endowment for International Peace since 2003. 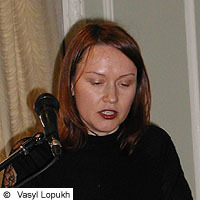 Marianna Kozintseva, PhD., is Associate Director for Emerging Europe Equity Strategy. She previously worked for the RAND Corporation, the World Bank, and the International Institute for Management Development. 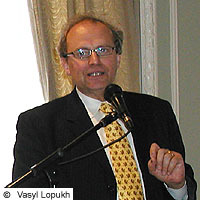 Adrian Karatnycky is the founder and President of The Orange Circle. For over a decade Mr. Karatnycky served as President of Freedom House. 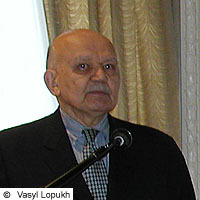 There he presided over major analytic research projects like the Survey of Freedom in the World and the Nations in Transit annual reports, and devised assistant programs to democratic civic groups and think tanks in Central and Eastern Europe, opening the Freedom House office in Kyiv in 1993. He is co-author of three books and a contributor to such publications as the Wall Street Journal, The Washington Post, Foreign Affairs, and the International Herald Tribune, and has appeared on CNN, the PBS Newshour, and ABC's Nightline as a Ukraine expert.